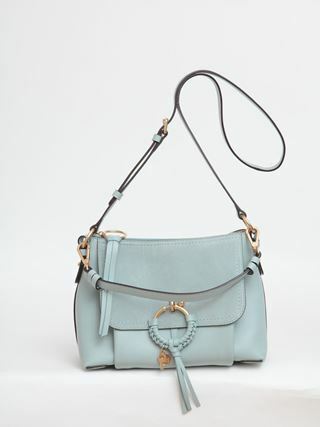 Mini Joan cross-body zipped bag in grained cowhide with a trapezoid silhouette. 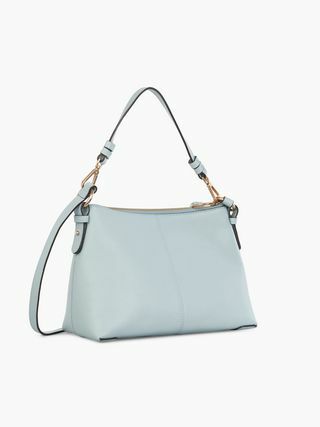 The compact interior and front flap make this an elegant day-to-evening bag. 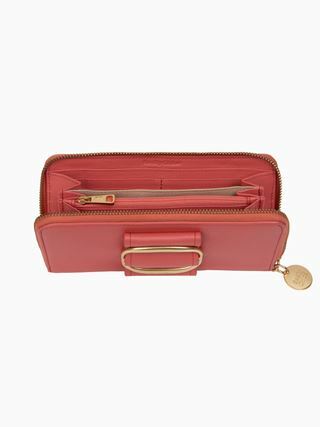 The Joan line's signature feminine braided O-ring features a key chain and the See By Chloé medal.